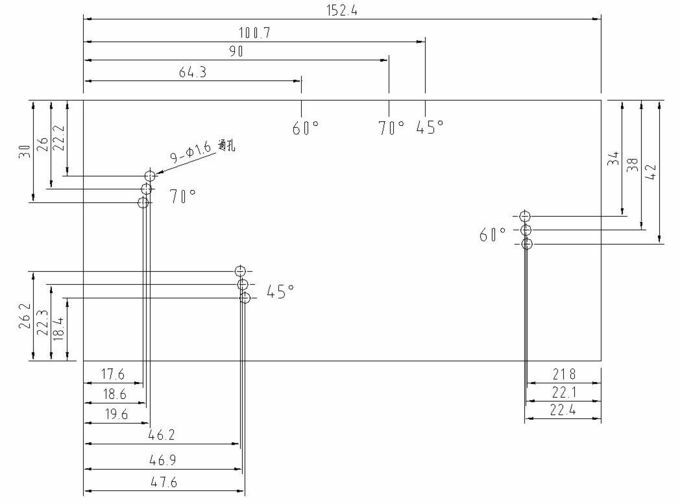 It also called an RC block, the AWS Resolution Reference Block is used for checking resolution capabilities of angle beam transducers. Contains three sets of 1.6mm diameter through-holes for 45°, 60° and 70°. 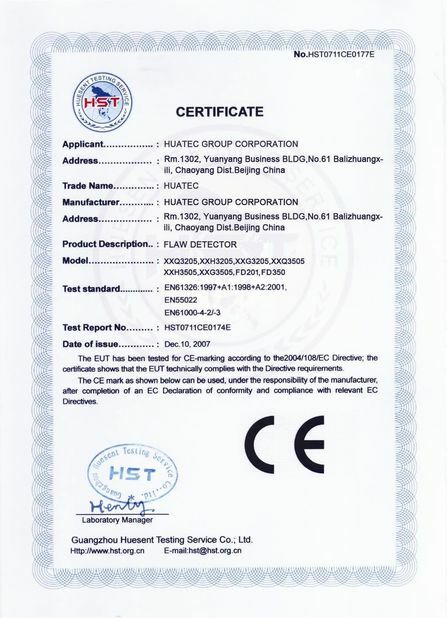 In accordance with AWS Welding Highway and Railway Bridges specification D2.0, and Structural Welding Code ANSI/AWS D1.1. 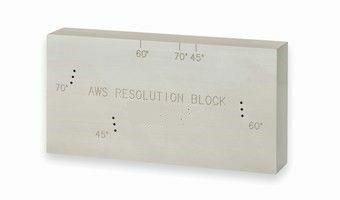 AWS does not specify a separate metric version of the AWS Resolution block. The metric block in AWS shows only the metric equivalents to the standard design. Therefore, this one block can be used for both inch and metric requirements.